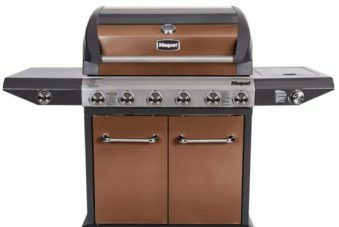 There are so many different BBQ’s out there – a Beefeater BBQ, a Weber BBQ, a Masport barbecue, there are side burners, wok burners, smokers, rotisseries and more. You are probably more confused than ever, so it’s time to do some research and pick the right BBQ for you. PRICE – it’s true, you get what you pay for, so, having an idea of how much you want to spend will help in narrowing your choice. Don’t forget generally a gas bottle is often not included, so you may want to factor that into your budget. FUEL – What type of fuel do you want to use? Bottled gas, natural gas, charcoal? For natural gas, you need to have an outlet near your BBQ. Barbecues can be bought that run on natural gas, others on bottled gas, but you can’t run a gas bottle BBQ on natural gas and vice versa. Conversion kits will also cost and should be factored into your budget. Natural gas will mean you never run out, so there are no mad dashes to refill your bottle. MATERIAL – this is what the grill part of your BBQ is made out of, it can include alluminum, cast iron or stainless steel. 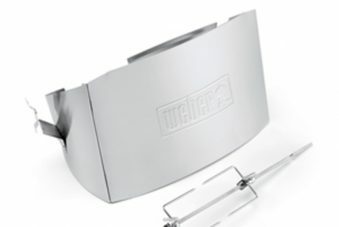 Stainless steel is the most expensive option, but it is the preferred material for professional cooking. SIZE – you need to pick the size and features you want in your BBQ – when it comes to size, think about the things you want to cook on your BBQ and how many people you want to BBQ for. If you want to cook up regular *feasts* you’ll want a large BBQ, if you are looking at cooking a few steaks and sausages every now and then, a smaller BBQ would be better. You also want one that will fit into the space you have available. FEATURES – A side burner? Different levels? Rotisserie, lights, smoker box, temperature gauge? These are just a few of the dozens of extras available on BBQ’s today. Remember a basic BBQ can do a lot, and will you use those extras? Only buy the features you know you’ll use. HEAT – this is another factor to consider – the BTU is a measurement of the amount of heat created by the burner. Higher BTU’s doesn’t mean that the BBQ will produce more heat, it’s a rating of the heat created, the size of the BBQ and how well it holds and distributes the heat. Don’t buy a BBQ just because it has a higher BTU number. 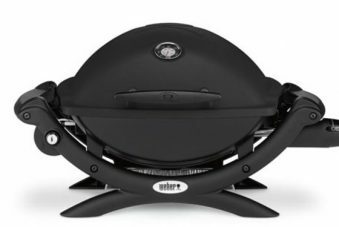 Compare the size and the shape of the BBQ, some smaller, more compact BBQ’s can produce higher cooking temperatures but with a lower BTU. DURABILITY – the thickness of the metals and quality of the parts play a role in how long your BBQ will last. The biggest part of your BBQ’s lifespan is how well you take care of it. Any BBQ can last a long time if it is kept covered and cleaned.